In the times of public intrusion into the private sphere, right wing populists and religious fundamentalists threatening the freedom of expression and diversity, and conservative politicians pressing for control and surveillance, the expressions of private life become a political affair again. Related to the slogan of 1968 “The personal is political”, the here presented films talk about personal or private affairs in relation to the public sphere and the urban space. 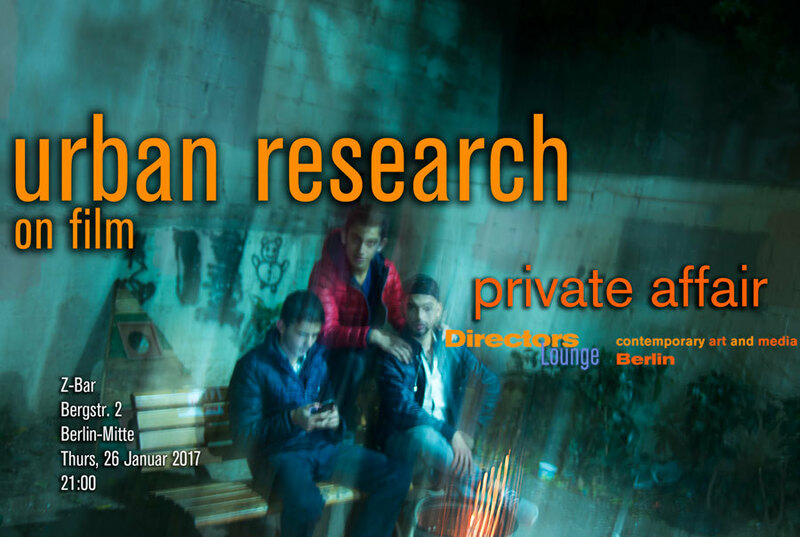 Many of the Urban Research films submitted in 2016 are dealing with private stories, that are related, in one way or the other, to the urban space and expressing the importance of freedom and solidarity for the divergent, the subversive and the liberal mind. The films present the small stories with high artistic aspiration, the nuanced views and the subjective diversity, which are even more important at times when populist positions start to replace distinguished sentiments in culture and politics. The idea of scale in architectural contemplations reflects on the meaning of the space, also scale connects with urban topology and contemporary ideas of social geography. Social, political, or personal impacts may be seen differently if seen from different point of views: looking from a global, national, municipal, personal, community-based or journalistic point of view. These new films create spatial contemplations or film essays from Chicago, San Francisco, Berlin, New York, Canada, from a historical literature connection (Kerouac) or even the virtual space of a Si-Fi film series. 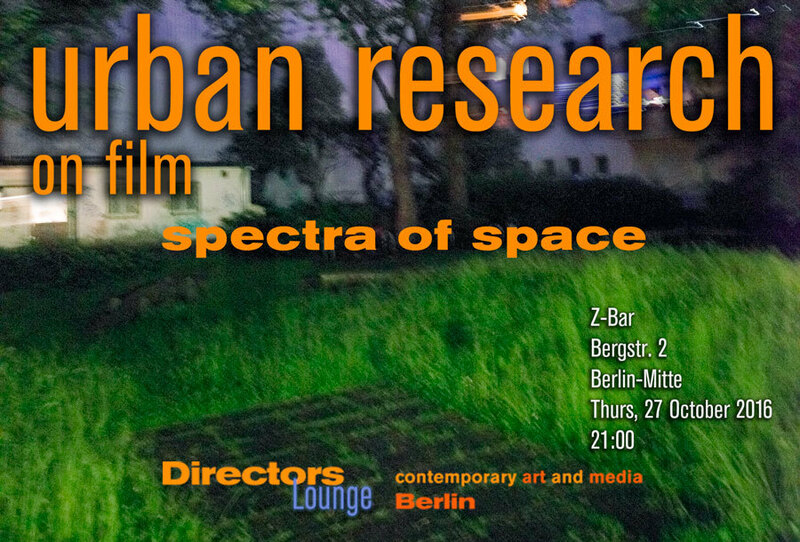 The screening presents a diversity of films connected with architecture, urban space and landscape from documentary to experimental, and will create an interesting visual dialogue about urban space in film. 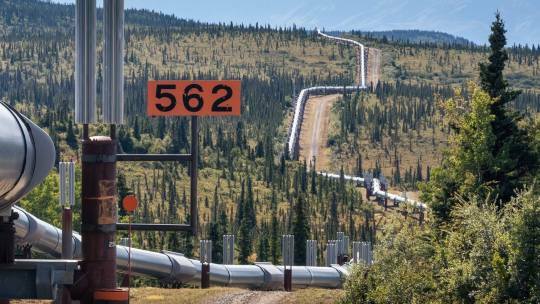 Topophilia by Peter Bo Rappmund surveys the 800-mile length of the Trans-Alaska Pipeline, and travels alongside the conduit as it bobs above and underground from the Prudhoe Bay oil fields to its terminus at Valdez. 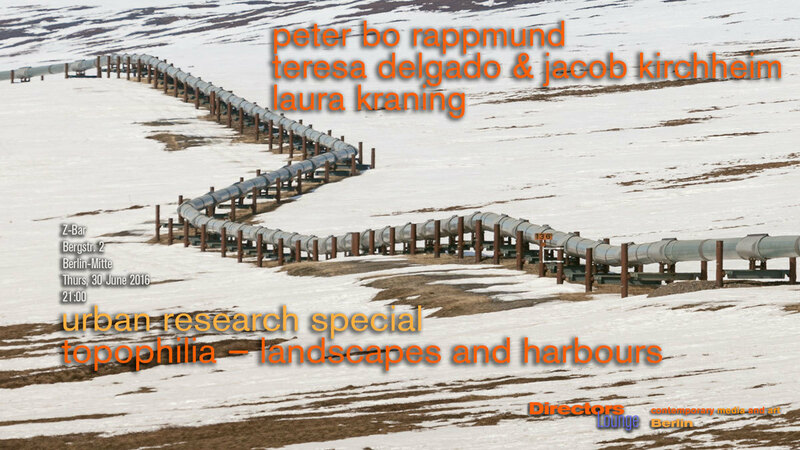 The extreme linearity and continuity of the pipeline acts as a pivot point to reorganize the landscape and offers new and idiosyncratic ways to visually reconsider topography. 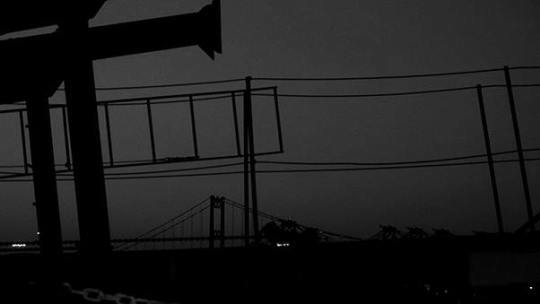 The film confronts the extreme beauty of the North-American landscape with the seemingly safe infrastructure of oil transport. 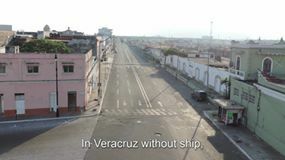 Veracruz Without Ship by Teresa Delgado & Jakob Kirchheim. A documentary melodrama with privatizations and without lovers. A poetic walk through Veracruz, port of European exiles and Mexican oil, of melodrama and of the rhythm danzón. // Since 1938 Lázaro Cárdenas government offered political asylum to thousands of Spanish republicans who were fleeing war and persecution. They arrived to the port of Veracruz, unreachable paradise for the defeated who could not leave Spain. We revisit this myth of the grandparents and confront it with the present in 2014. In this year the PRI government is opening the doors to private investment of multinationals in a natural resource which Mexicans consider their own: oil. Oil plays an important role in the Gulf of Mexico and Mexican oil was nationalized by Cárdenas government in 1938. Port Noir by Laura Kraning. Within the machine landscape of Terminal Island, the textural strata of a 100 year old boat shop provides a glimpse into Los Angeles Harbor’s disappearing past. Often recast as a backdrop for fictional crime dramas, the scenic details of the last boatyard evoke imaginary departures and a hidden world at sea. Claudia Guilino was part of the Directors Lounge family from the early days, supporting our project with love and enthusiasm. Claudia passed away on June 26. She will be deeply missed. 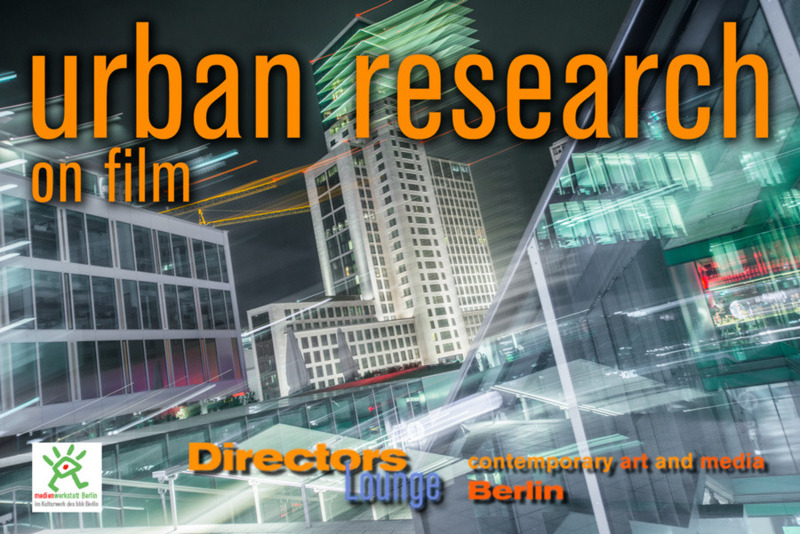 Urban Research is a film and video program curated since 2006 by Klaus W. Eisenlohr during the Berlin International Directors Lounge festival. 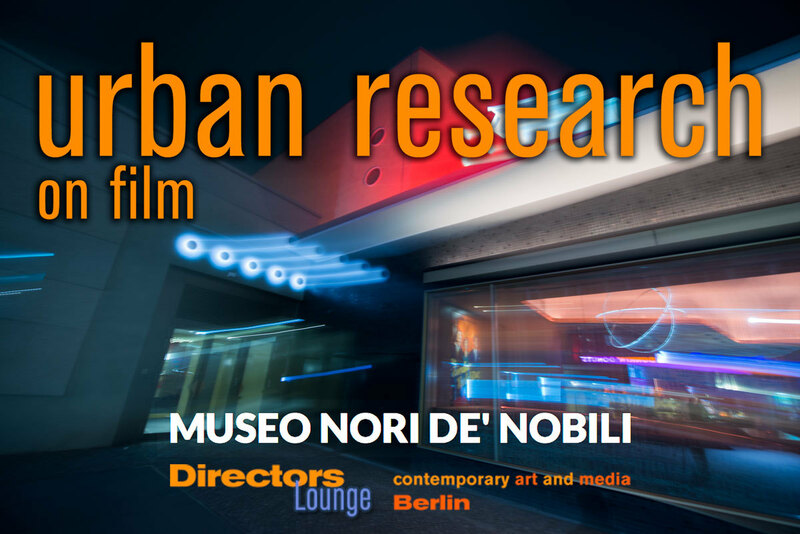 Urban Research encompasses explorations of public space, reports of the conditions of urban life and interventions in the urban sphere realized by international film and video artists using experimental, documentary, abstract or fictive forms. 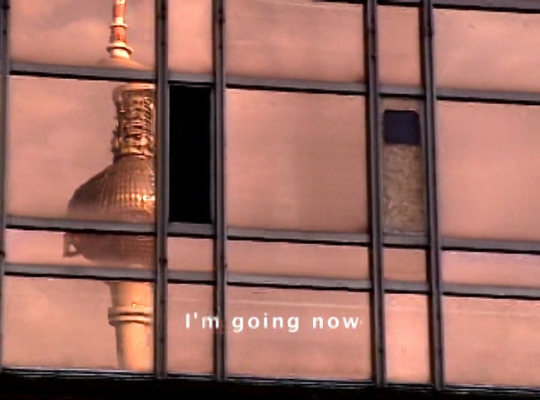 The films of this Urban Research selection revolve around visions of the future city, recent and current movements and developments that take their expression in public spaces, urban studies and metaphoric images dealing with urban life. The mix of experimental and more documentary styles complement each other and create a diversity of connected ideas about urban life. 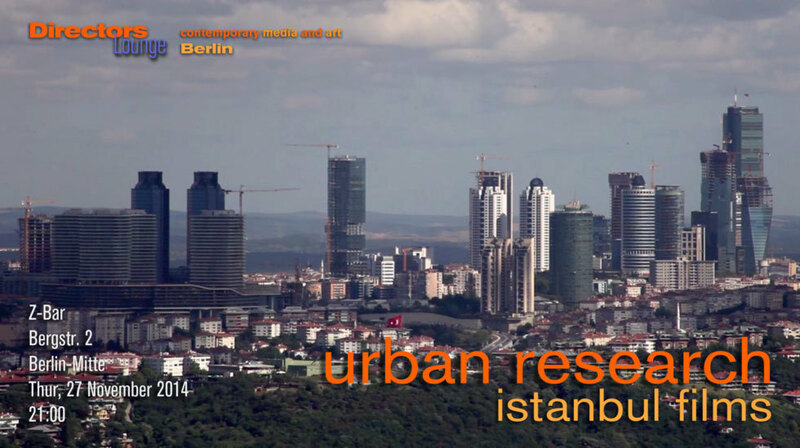 Urban Research Istanbul Berlin presents short films between experimental and documentary exploring the public sphere in different cities. In collaboration with curator Burak Cevik from Istanbul we show films which deal in very personal ways with current and with historical urban developments and their problems. The very personal point of view of the different filmmakers makes it possible to create a relation between different places and times, between the disappearance of old quarters, the violence that families have to endure in kurdish areas, the circumstance that led to the self-immolation of a turkish immigrant in Germany, and the juxtaposition of the story of Jewish family in Italy during WW2 against the backdraft of Italo-Fascist Architecture in Rome. Without addressing it directly, these problems of urban spacial change, political usurpation, experience of violence and personal experiences of social hardship can also be seen in relation to the current so-called “refugee crises” and the last political changes in Germany and Turkey. On the other hand, the films are also characterized by their ease to deal with personal documents and the charming personal observations. 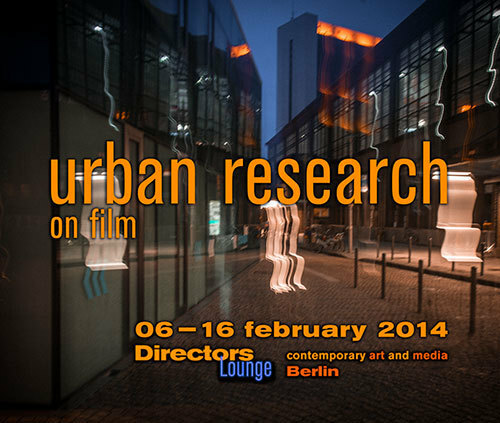 Urban Research is a film and video program curated by Klaus W. Eisenlohr for Directors Lounge since 2009. 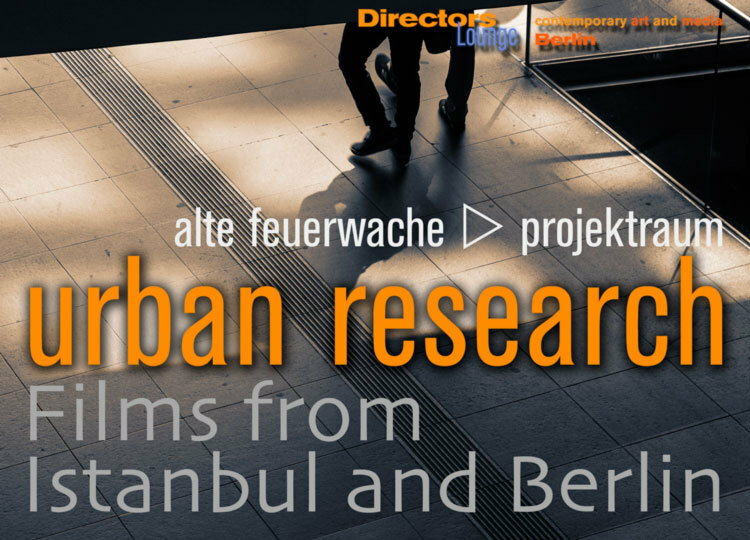 Urban Research encompasses explorations of public space, the conditions of urban life, and interventions in the urban sphere, by international film and video artists using experimental, documentary, abstract, or fictive forms. The reguarly meetings of media artists at BBK Medienwerkstatt are intended to support the media arts and the exchange between artists. The discussion centers on the thresholds of different media practices and a critical concept of media in arts. Friday, July the 31st at 9pm at Villino Romualdo in Ripe Trecastelli will be held the final evening of Trecastelli Cinema sotto le Stelle. The first edition of Trecastelli cinema summer festival held for four evenings during the month of July contemporary movies to Trecastelli public spaces. The fifth and final night will host Klaus W. Eisenlohr, one of the Directors Lounge Berlin Festival directors. On this occasion he is presenting a series of short films from around the world that offer hypothetical visions of future cities, movements and developments that take their expression in public spaces, studies of urban spaces and metaphorical images that deal with urban issues. The mix of documentaries and experimental styles complement each other to create a diversity of ideas that revolve around the theme of urban life. 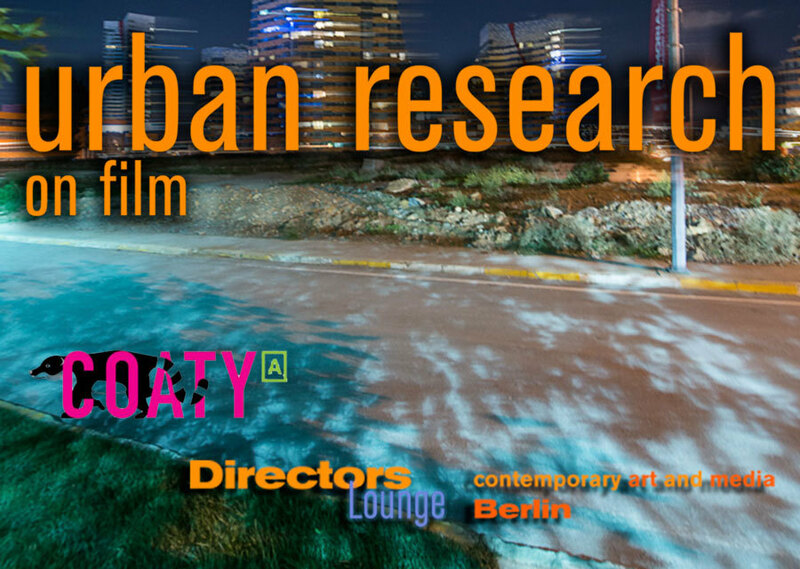 Urban Research was founded in 2006 and focuses on the exploration of public space, the relationship of urban living conditions and interventions in urban areas made by filmmakers and international video artists who use experimental, documentary, abstract and fictitious techniques. Istanbul has drawn a lot of attention in Germany, lately. It has become a city fashionable not only for visits, but also for projects in architecture and art. The history of the past 60 years has been one of success. An incredible growth from around 1 million to estimated over 14 million inhabitants has been handled without the emergence of slums and widespread poverty combined with criminality as many other mega cities in the world have. The economic boom of the last 2 decades, based on a moderate modernization in the past and a growing middle-class, has also created a demand for democratic renewal on one hand. On the other hand, a new class of powerful rich in combination with a globalized monetary-economy try to further accelerate economic growth in the city, which causes a lot of controversies and a rising number of people possibly loosing the battle for urban renewal. The films in this program show glimpses of different developments in the mesh of urban renewal. All of them combine artistic observations with a large sympathy to the people portrayed and places shown. Sulukule is a former Romani area in Turkey which has been taken down by the government. Its inhabitants have been removed to Tasoluk, 45 km away. One of the results of the urban transformation in Istanbul is the abrupt conversion of old neighborhoods into luxurious estates. The communities that have no relations with each other happen to find themselves side by side. Ultra-wealth and poverty have became neighbors. The film investigates both sides and the impossibility of relations. Through a personal story about the nationwide uprising in Turkey in summer 2013, the “Occupy Gezi” movement, this movie tries to show how the Turkish youth says “No!” by reclaiming the city against an over-reacting government and brutal police force. This juxtaposition of experimental shorts discusses futuristic aspects of urban life. “The future ain’t what it used to be” as a much quoted Yogiism says. Rather than elaborating on science fiction tales, the pictures combine and merge the present, past and future in different surprising ways. Life in our times may come with more challenges than just a space oddity.